Failing Schools | Are schools failing, or are they being failed? No, not the turtle egg in one of the lower school science classes. It’s our new site, ReclaimingReform.org! Don’t worry; the links and discussion that have happened here will be preserved here, and in the coming days and weeks the best of this site will be archived onto the new one as well. If you haven’t already, please sign up to let us know if and how you’d like to be involved with this new project. Over the next couple of weeks, we’ll be exploring the idea of democracy as it relates to education policy-making, as well as the role of education in a democratic republic. If you’ve got ideas or examples you think should be spread far and wide, please share! After weeks of discussing, brainstorming and developing, we’re excited to bring you the next evolution of the Failing Schools Project, Reclaiming Reform. 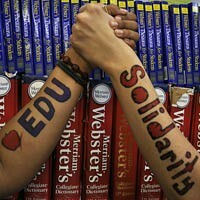 The new project will debut the week of Valentine’s Day (because we #LovePublicEd)! We’re impressed and excited by all of the real reform activity that’s been built here, around the blogosphere and the social media world, and in the in-person world with conferences, marches, grade-ins and more. 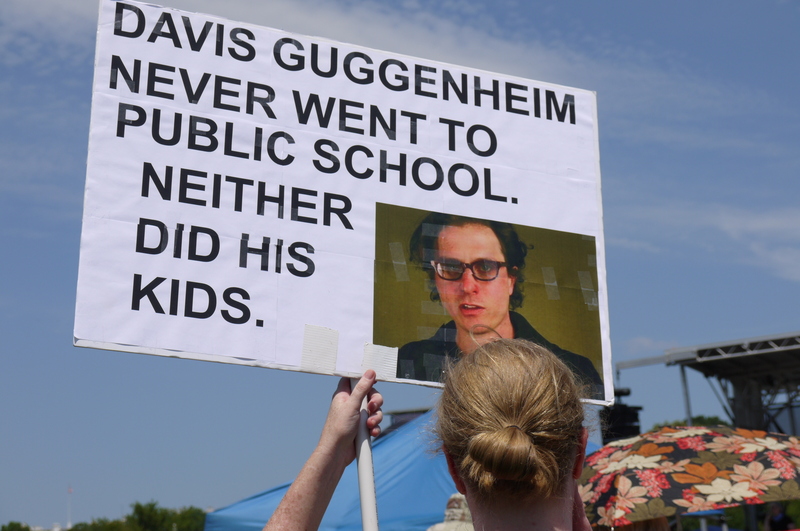 We’ve seen– and penned– searing indictments of what education reform isn’t. Now, we’d like to create a deliberate space to talk about what real reform is, and we need your help. There are living examples all over the country, and ideas still to be imagined. Fill out the form below (or click here) if you’d like to be a part of building something together. Originally published on December 13, 2010 at 4:02PM MST. Accountability and results. That’s what school reform à la NCLB and RTTT is supposed to be all about, right? In order to ensure that all kids are getting the education they need and deserve, we need to set high goals and expectations, and then “measure to see if we’re gettin’ results.” When we measure (and measure and measure…), and find that we’re not getting results, we have to do something about it. That’s the primary justification for turnarounds where teachers are fired en masse, and when schools are closed or converted to charters. We in the Community Education Task Force in Rochester, New York have been struggling around several crucial issues that touch many other locations. We were part of a successful effort against the attempt to bring about mayoral control in the Rochester City School District (at least temporarily, as we know the issue will be back). We were part of a collective effort to push out a Broad-trained Superintendent, Jean-Claude Brizard, and have since continued the struggle against corporate-driven privatization reforms in favor of grassroots community-driven decision making and empowerment. We held a large community-wide education summit in which we engaged parents, students, teachers, and concerned community members on how to best focus and redirect reform efforts. Following the Summit we have continued active initiatives centered around our guiding principles. 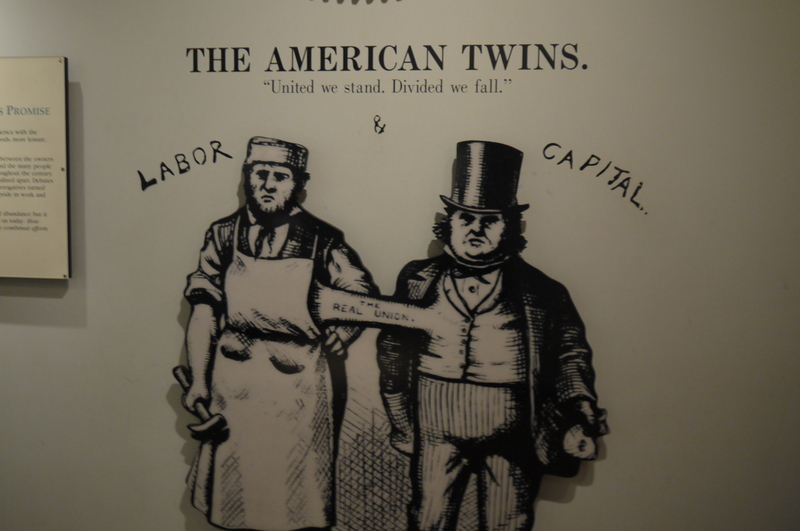 From the Smithsonian American History Museum. I was going to call this piece a recap, but that really isn’t an accurate description. 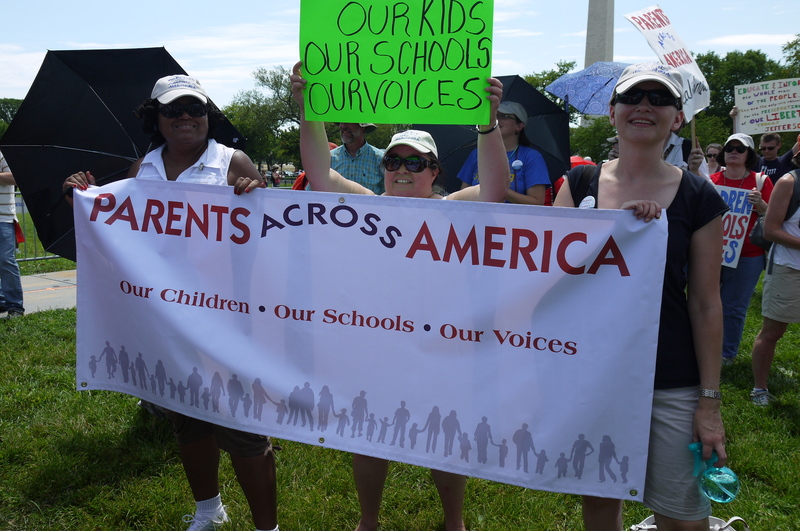 I participated in the conference and the march and the grand consensus among most of us was that the Save Our Schools March is only a beginning. 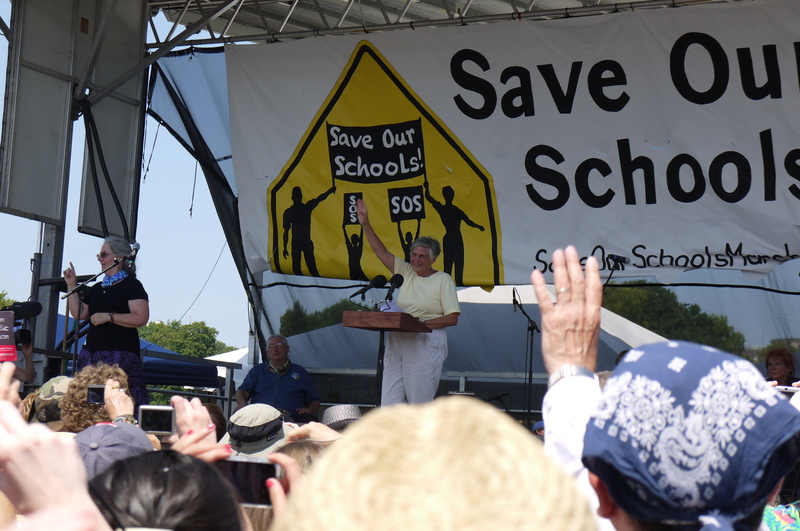 It must be only a beginning, fostering a well-organized national movement to literally save our schools. I do not support the status quo; I support quality schools and equity of resources for all children. I had planned well before the trip that I would not participate in the post-SOS March congress, in order to visit the Holocaust Museum. (A temporary exhibit on propaganda at the museum was eerily pertinent to the current rhetoric regarding public schools.) Numerous supporters around the country will need some related debriefing about where, and how, we should concentrate our efforts if we are to address the very real problems with our educational system. What happens next depends on our collective ability and willingness to unite and work diligently, even courageously, on behalf of public schools. I’m in. Are you up for it? Thanks so much to Matt Damon for coming out. Still, I really wish Diane Ravitch, as an educational celebrity, could get her props in place of bone-headed op-eds. Arne Duncan celebrated Katrina's effect on New Orleans Schools. 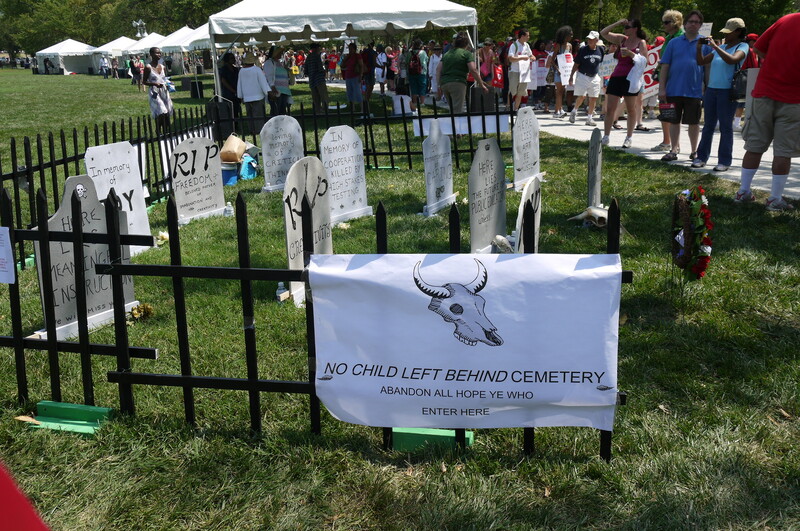 New Orleans parents know better and say "Do Not Replicate!" My sign. 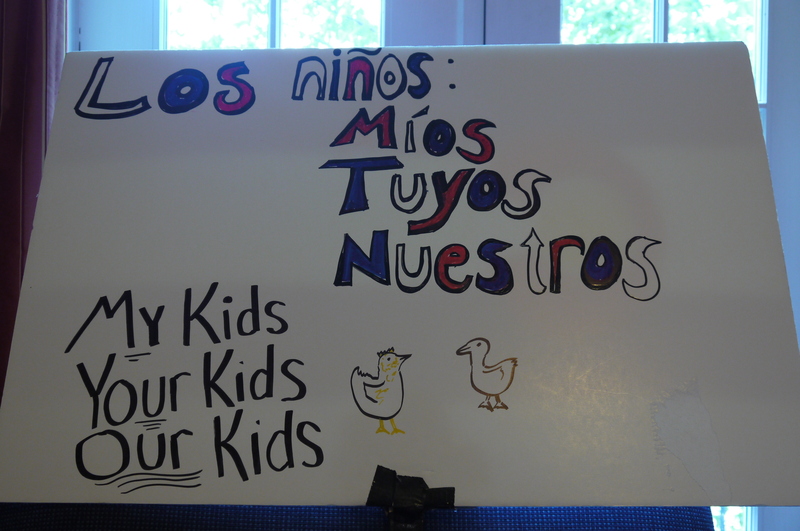 My respect to the young people of New Orleans and across the country; I used the words "niños" and "kids" here because they resonate better for my message, and because I am an early childhood education teacher. The facial expression reflects the depth of his comprehension of what's really going on in public schools, ¿qué no? But why bother with accuracy when you have silent donors with deep pockets ready to promote your film? Bless, you Vicky from Idaho, for your generosity and your magic bag! However, I suggest we change the word "ask" to something stronger. 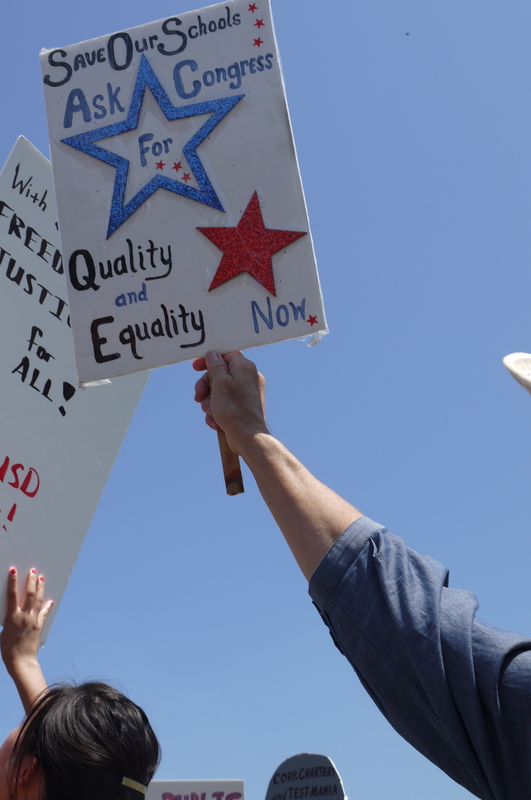 Insist that Congress provide quality and equality. May we raise our voices and join our efforts to both honor and revive the spirits of those who lie here.